The Council encourages expression of views and opinions by citizens on any matter of community interest that is within the Council’s authority. Comments during public hearings, written and oral communications are all appropriate methods of expressing views. The City Council holds regular meetings on the second and fourth Tuesday of each month in the City Council Chambers, second floor of City Hall, 3970 Rocklin Road, at 6:00 p.m. Due to holidays meetings will not be held the first Tuesday in July, second Tuesday in November and December. 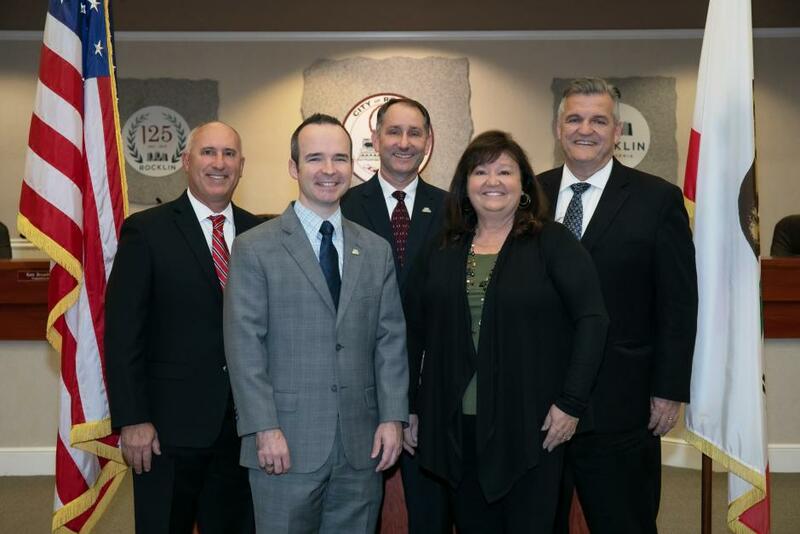 The City Council appoints a five-member Planning Commission, a five-member Parks, Recreation & Arts Commission, and a five-member Board of Appeals. Ethical standards shall be included in the regular orientation for newly elected officials and appointed officials, board members and commissioners, as well as for all City employees. Brown Act – Government Code Section 54950, et seq., known as the “Brown Act,” contains open meeting laws for local boards and commissions. The California Attorney General’s Office publishes a summary for the Brown Act. View City Council Agendas, Minutes, Agenda Packets, post-agenda items, and audio from the past six months, listed by meeting date, as they become available.